At this point, can a simple “WHY?” suffice? I’m serious. This is MISTER “A good movie can be made out of anything” talking here, and even I’ve got to ask what the hell the point of this is? Is this franchise even on the radar of the kids it’s targeting (since the new Ghetto Fab-a-lus redesign rules out the prospect of this being nostalgia bait)? 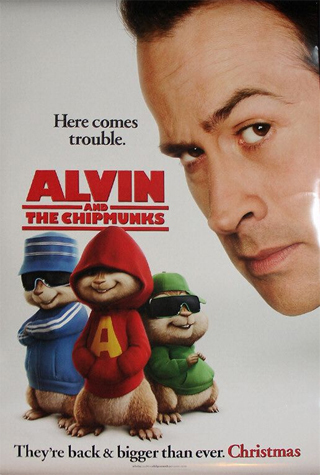 The Chipmunks were a late-50s novelty album and cheap (even for 60s TV) cartoon based SOLELY on the premise that voices sound squeaky when you speed up a recording. Briefly got popular again in the 80s with a revamped series. Hasn’t really been heard from outside the odd DVD quickie since. So exactly what’s the profit prospect on this? Did the two “Garfield” movies really earn that much?